All of us pretty woke up late from our extended mahjong session. It was really late morning when we got up for our breakfast and we just got ourselves prepared for our team meeting and arrival of our 2 other team colleagues, Garry and Noelle. 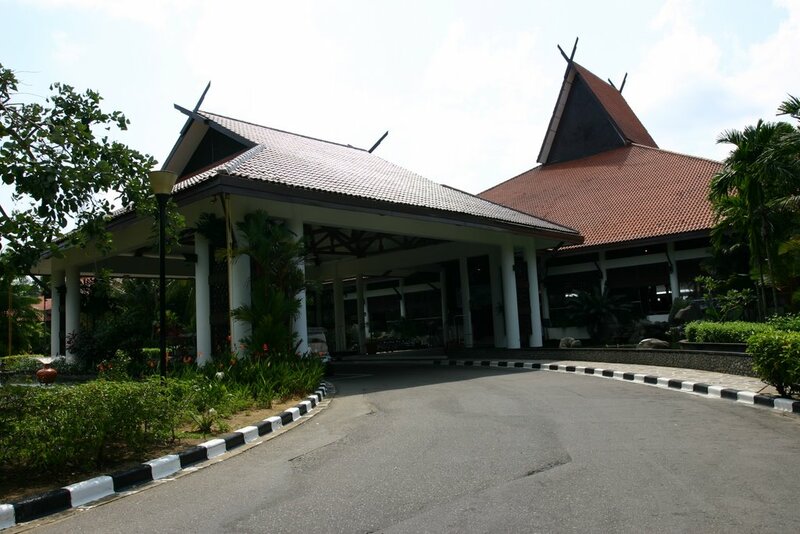 Picking them up from the main resort lobby, we proceed back to our villa for our team meeting. It was a time for reflection, goal settings for the next 6 months and team sharing. Overall, it was good for the team to know about each other and create a stronger unity and friendship. 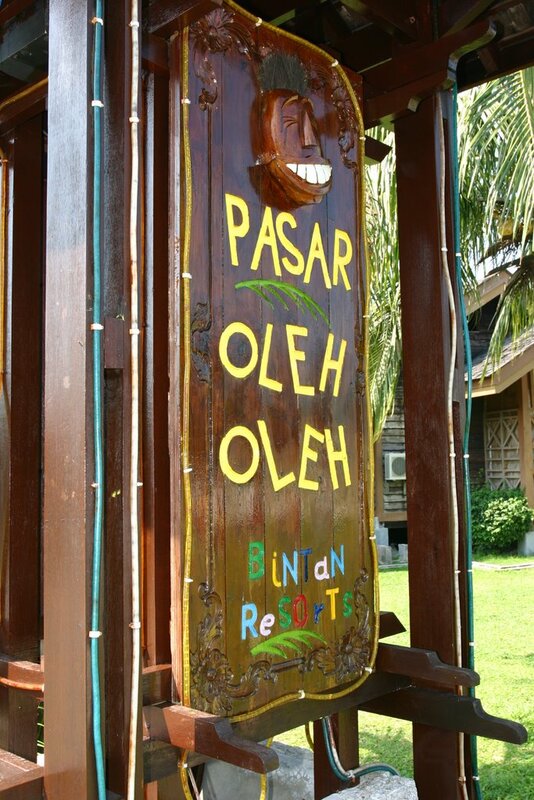 After the meeting, we travel to a location called Pasar Oleh Oleh using the bus shuttle service provided for the Bintan Resorts network, it is located near the jetty and they have food, tidbits, clothings, artwork etc etc…. 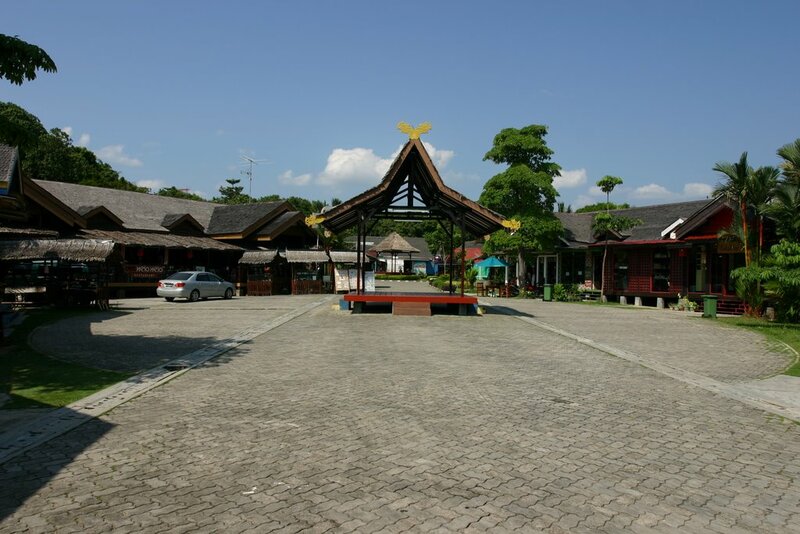 Nothing much for me to buy, but interesting to look around the area. 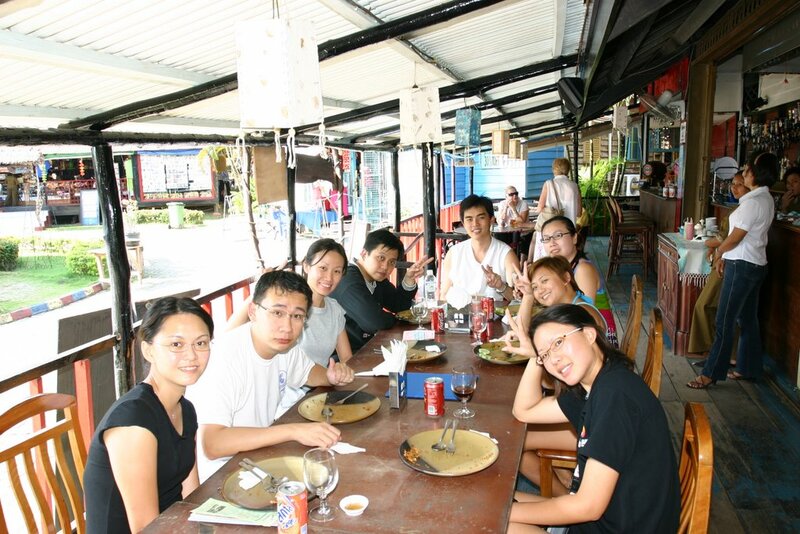 We then boarded another bus shuttle service to tour the other resorts on the northern side of Bintan. Alighting at Mana Mana Beach Club, we walked around the beach resort, admiring the beautiful coastline and sandy beach. 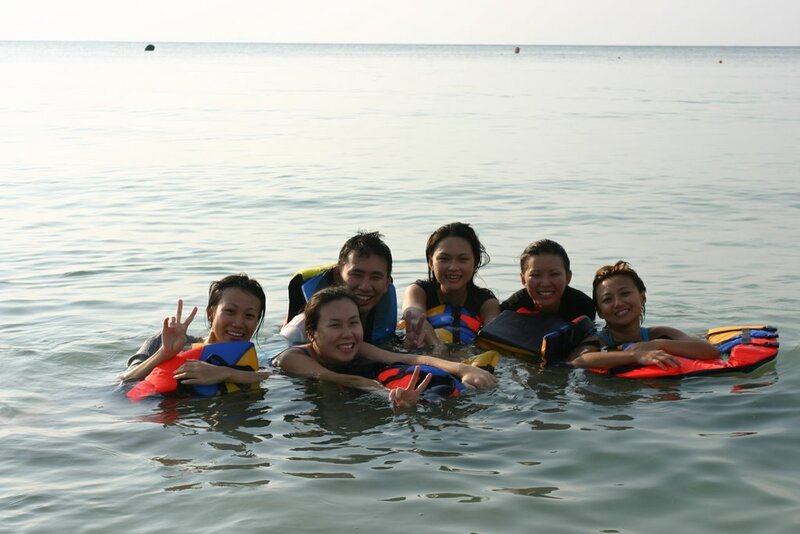 As we were keen to get into some fun and action at the sea, a group of us decided to go for the banana boat. It’s actually a double inflated dinghy tubes and pulled by a speed boat. The ride was really really very fun, but with a fully stomach of fried kway teow and a can of beer. My tummy could not take it and I was suffering from a “washing machine” stomach. Therefore, during the fast ride, I was feeling very bad inside my tummy….. sometimes asking the girls in front of me to ask the speed boat to slow down ….. Lousy me ! 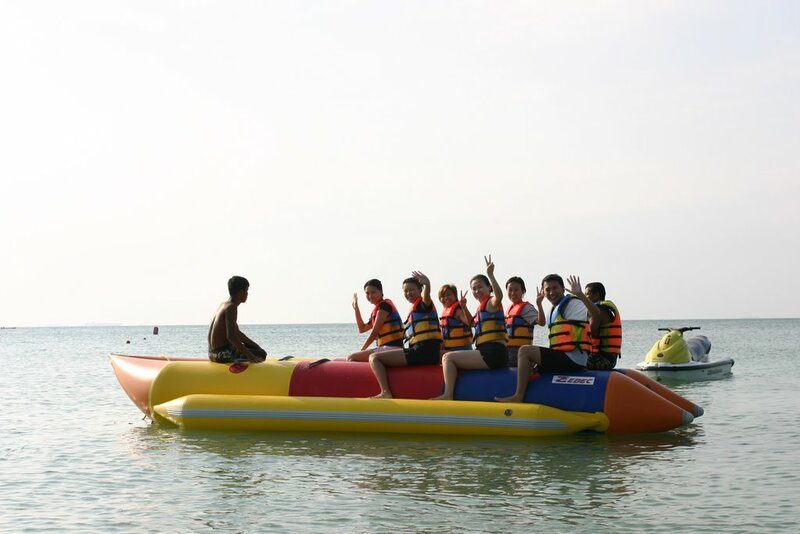 Ann was laughing at me when she caught hold of why I kept on asking the banana boat to slow down ….. embarrassing I have to say ….. During the ride, the speed boat drove so fast and our banana boat flipped into the air ! We dropped into the sea and floated around for a while before climbing back on to return back to the shore. Reaching the shore was a relief, my tummy just doesn’t feel too good ….. Taking a quick rest at Mana Mana Beach Resort and enjoying the sunset, we waited for the shuttle bus to return to Pasar Oleh Oleh to buy dinner back to our villa. The rest of my team colleagues continued shopping while I waited for the food to arrive. Returning to our villa and we were quickly preparing the BBQ. I , the professional fire starter, with the help of Andrew, we created a red hot BBQ fire pit and cooking the remaining food was really quick. 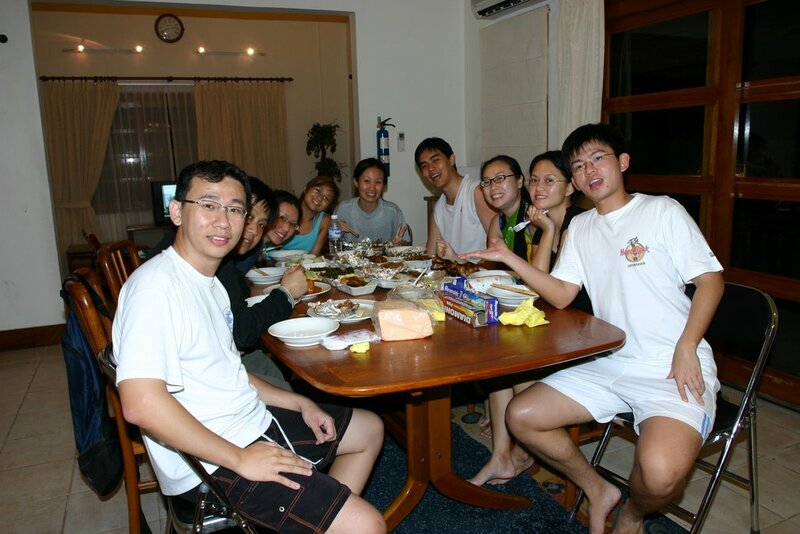 When the rest came back from touring around the resort in the buggy, we tucked in for our wonderful dinner…. very yummy …. 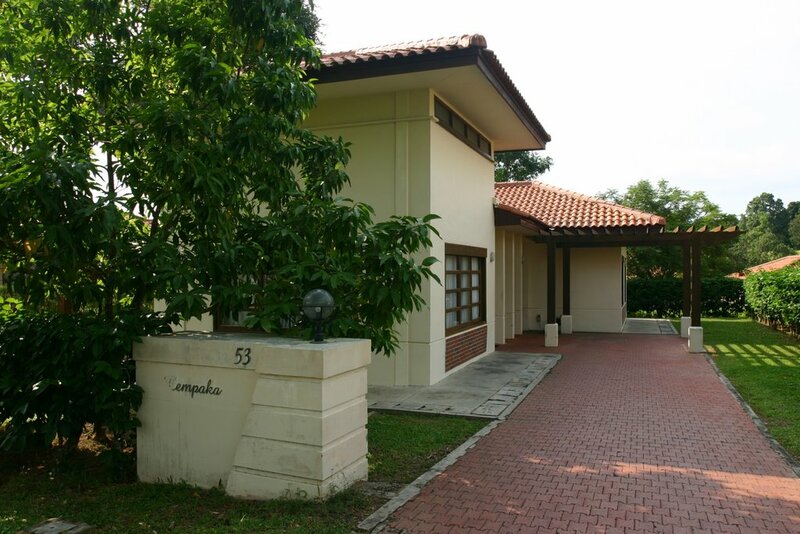 Going into the night, it was mahjong, television and moving around, visiting leisure centre playing the games. Juney and I also drove around the resort at night while waiting for World Cup Semi Final between Germany and Italy to start, I became a driving instructor and taught her the finer points of driving ! It was a long day but it was full of fun and laughter !